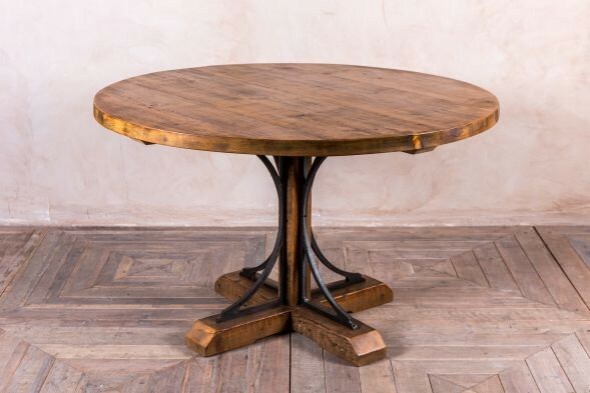 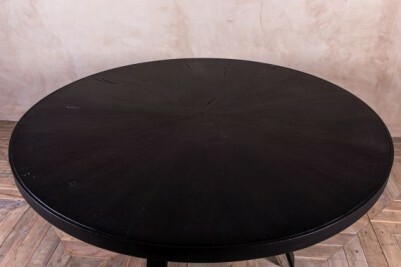 Modern and stylish, this medium-sized round dining table could transform your home or business interior. The ‘Athens’ table would make an excellent dining table for a contemporary restaurant, and it would also look great in a modern cafe or domestic kitchen. Why not pair it with some upholstered or metal dining chairs from our range of vintage inspired seating? 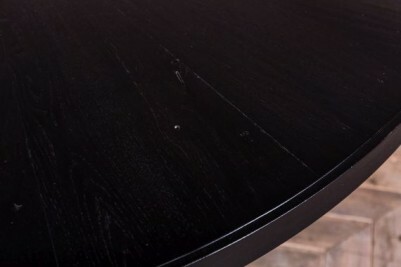 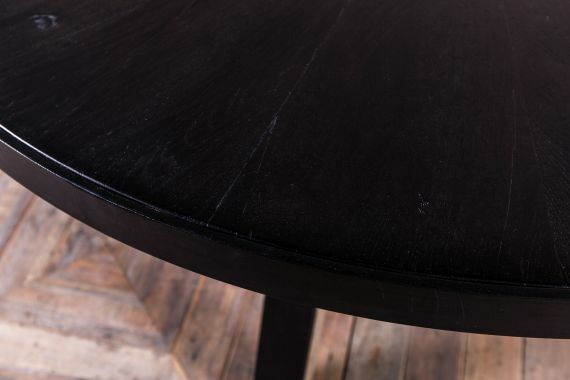 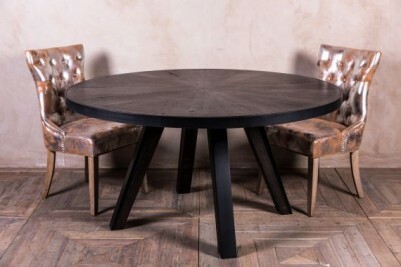 There are two versions of this round oak dining table: dark espresso and pebble grey. 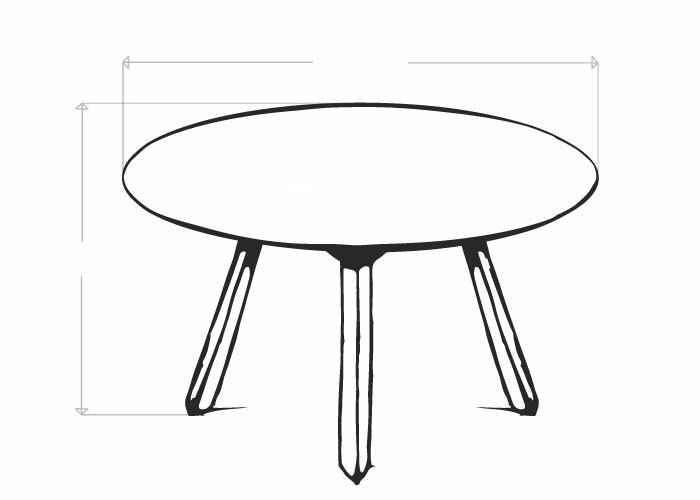 Take a look at the pebble grey table listing if you require a lighter table. 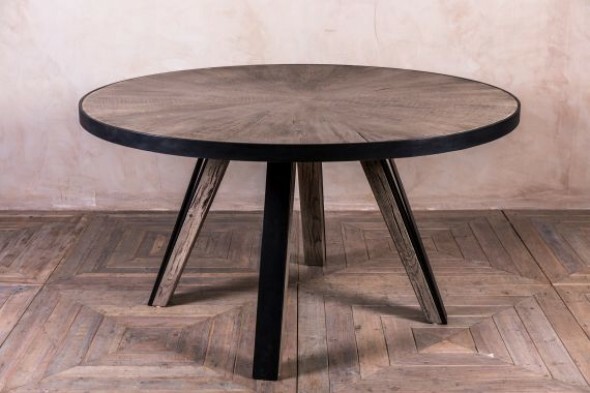 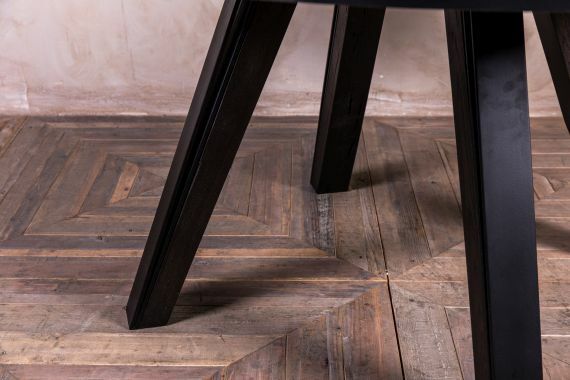 This ‘Athens’ table is made from beautiful, thick Russian oak and features dark steel to the edge and base – it is very sturdy. 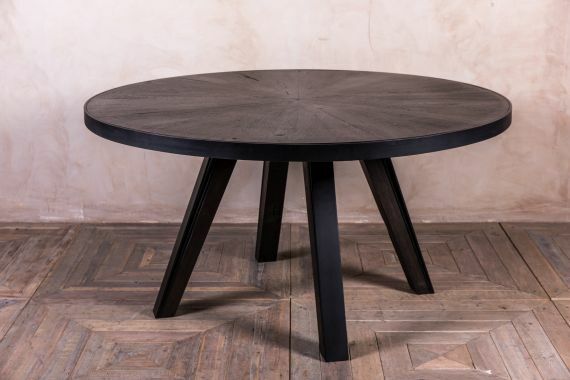 Please note that this listing is for one round dining table in espresso. 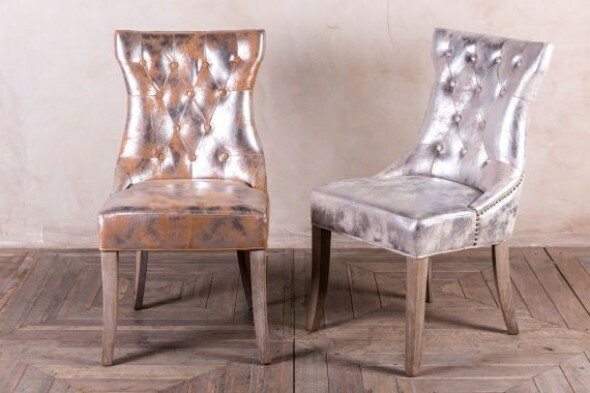 The metallic 'Versailles' chairs pictured are not included in the listing.